“Bulletproof coffee” is a huge trend right now, especially for those following the keto diet. Traditionally, bulletproof or keto coffee is made with a tablespoon of grass fed butter and a tablespoon of coconut oil. Combining grass fed butter, coconut oil, and coffee is a great way to make creamy coffee without the use of sweeteners and artificial flavorings. Coconut oil also has a wide range of health benefits. 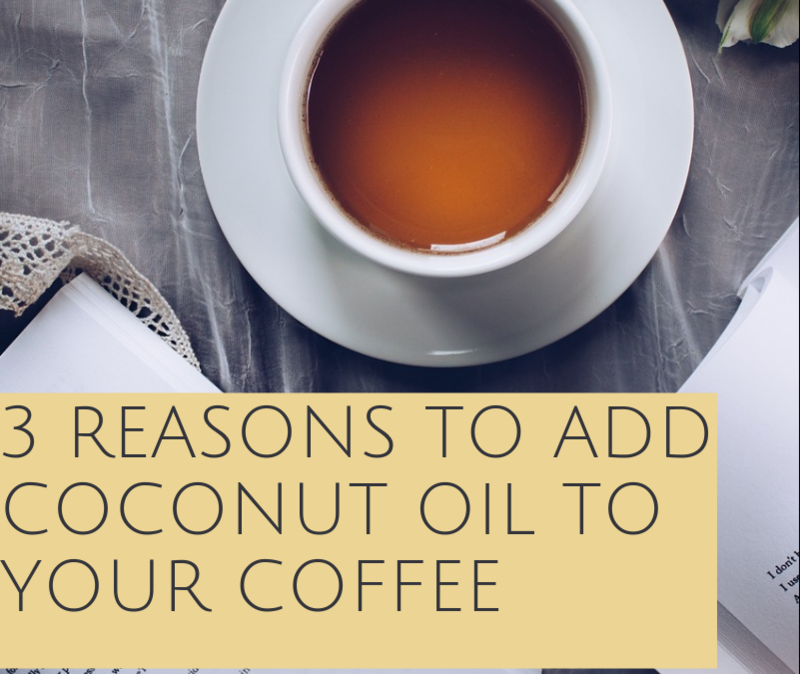 Here are three benefits to adding coconut oil to your coffee. MCTs, saturated fats found naturally in coconut oil, are just what you need to kick start the morning. Fats are used by the body as a source of energy. MCTs are metabolized faster and more efficiently than other fats because they are absorbed directly into the bloodstream. Next time you need a boost of energy, add coconut oil to your coffee instead of an extra shot of espresso! Coconut oil is also packed with Lauric Acid, a fatty acid that’s also found in breast milk. The body converts lauric acid to monolaurin, which is a natural antiviral agent. These antiviral properties help fight off pathogens and viruses like the flu, cold sores, and the common cold. Your gut is full of bacteria and candida yeast. As a natural antibacterial, coconut oil helps destroy the bad bacteria in your gut and helps balance a candida overgrowth. A candida overgrowth can cause symptoms of fatigue, constipation, bloating, and gas. Consuming coconut oil regularly aids digestive health and promotes a healthy environment in your gut. Have you tried our new Howl’s THC infused organic coconut oil? This whole-plant full spectrum infusion is made with Bio-Diesel, a 50/50 hybrid strain that is ideal for pain, depression, stress, and migraines. Howl’s infused coconut oil is easy to dose and can be added to beverages (like coffee, tea or smoothies), used for making edibles, or can be eaten right off of a spoon. Available in regular and extra strength doses. Check out our menu for complete product information.